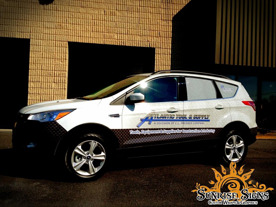 Sunrise Signs is proud to add a new addition to Atlantic Tool & Supply’s feet—vehicles wraps for their Ford Escape. 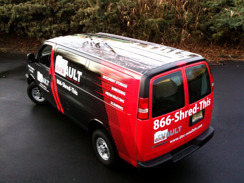 Previously wrapped to help build their brand in their Atlantic City region were a Ford F250 pickup truck and a 20-foot Hecht trailer. 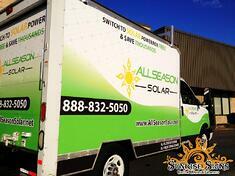 Now with their new Ford Escape car wraps, this division of CL Presser has gained an edge over the competition. 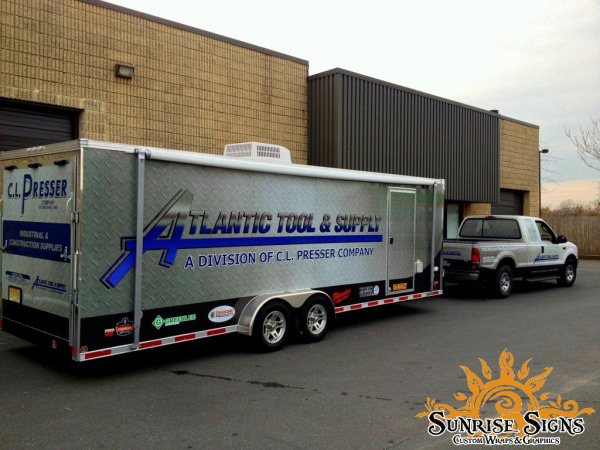 A division of the CL Presser Company, Atlantic Tool & Supply has been providing power and hand tools and the supplies industrial contractors need. 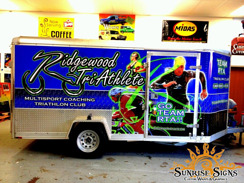 For their Atlantic City New Jersey location, CL Presser wanted something stunning for both their 20 foot Hecht trailer wrap and their Ford F250 extended cab truck wrap and here at Sunrise Signs, we’ve achieved the outcome they desired! 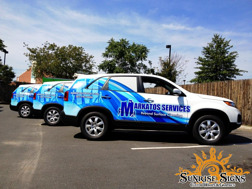 Since 1983 Markatos Services has been offering high-quality maintenance services for commercial and residential customers. This family owned and operated enterprise is located in Wilmington Delaware and beyond Wilmington, they serve Newark and New Castle County and Delaware County Pennsylvania.